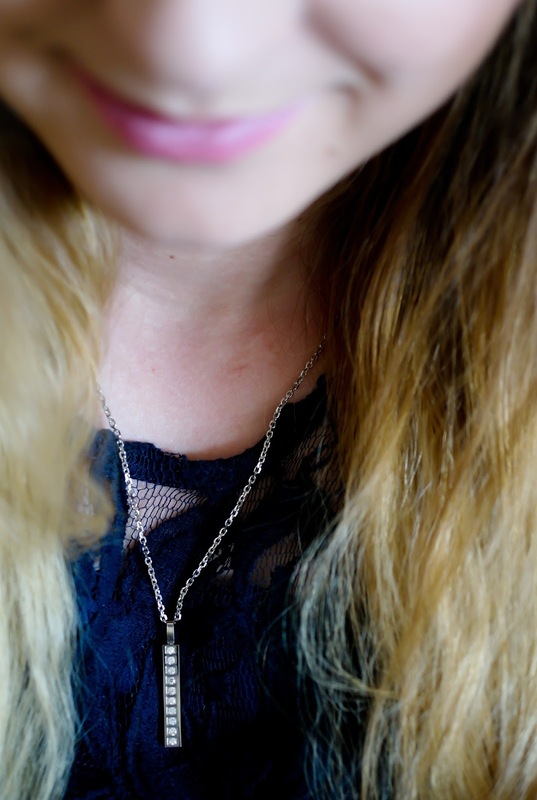 I recently got the opportunity to review some beautiful jewelry pieces from RUINUO. 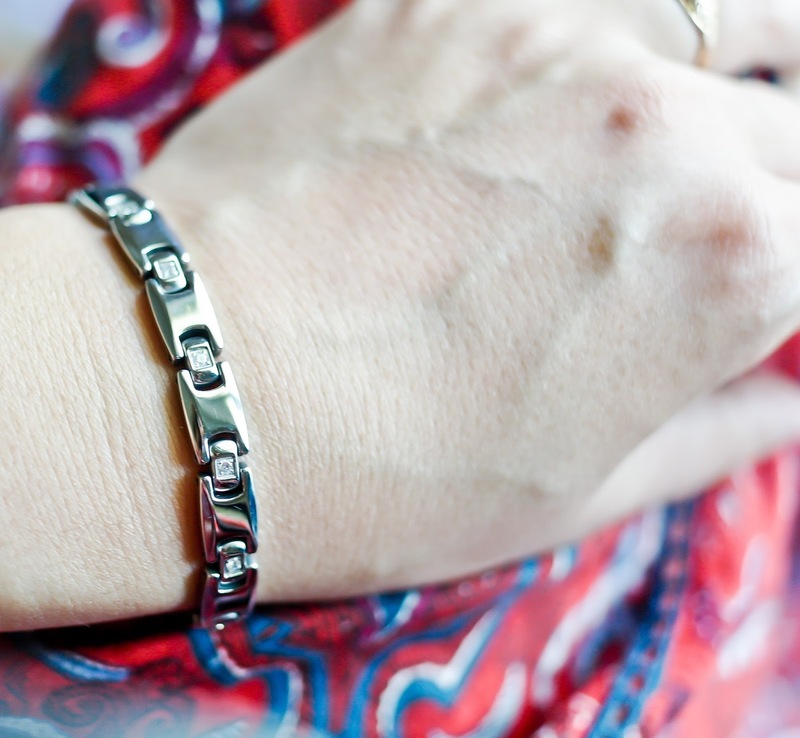 They have some really stunning stainless steel jewelry pieces and I was thrilled to be able to wear some of them! I love that they are so modern looking and that they don't cause any skin irritation. They're also extremely well designed and durable. Really cool jewelry piece! I absolutely love the design - the combination of the cross symbol with the star constellation of a zodiac sign is pretty neat and unique. The pendant is pretty large (2.16 x 1.22 inch) and seems very durable, but not too bulky. It comes with a resizable chain and a black strap, which is a very cool alternative for men. 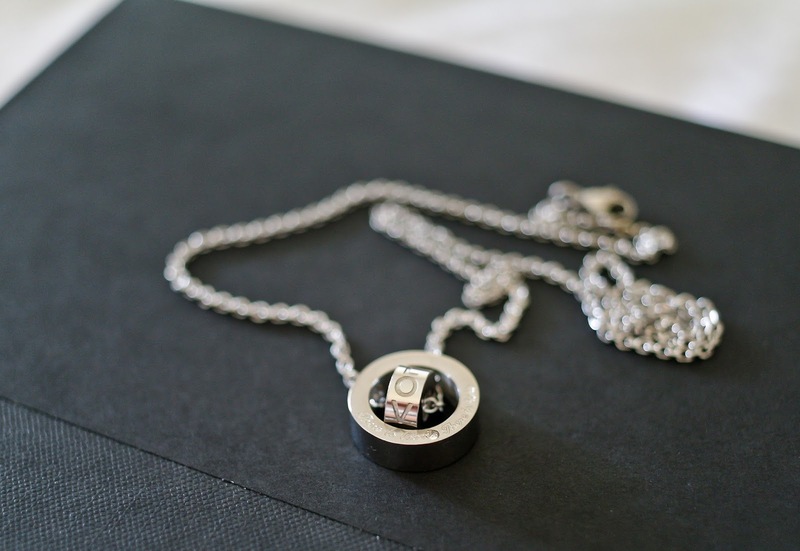 The pendant is made out of stainless steel and titanium, and it doesn't cause any skin irritation. The cubic zirconia stones represent stars in a zodiac constellation (in this particular case it is Cancer zodiac). I think this is a very well-thought-out, modern design that will appeal to a wide variety of people. This would definitely make a great and meaningful gift. This is another beautiful piece of jewelry from Ruinuo. 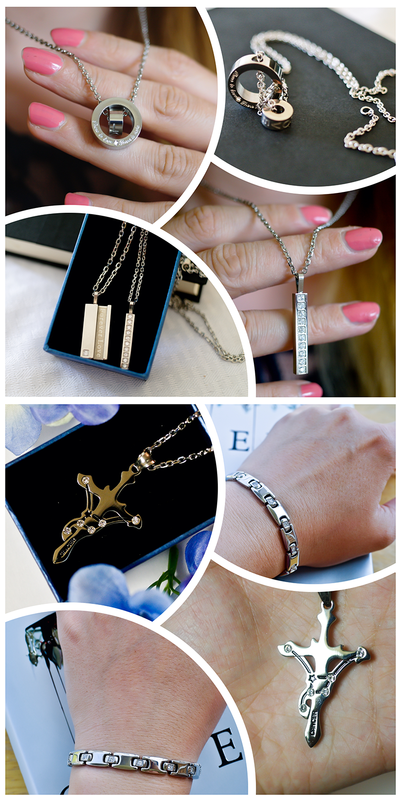 I am absolutely in love with their jewelry - they are all extremely well made, durable and modern looking. This bracelet is no exception. This bracelet is very shiny, especially in the sun! The design is simple, yet very chic and eye-catching. The bracelet is very comfortable to wear. There are no hard edges so it doesn't catch on clothes or hair. It comes with a bonus polishing cloth, which is very neat! It's on the thicker side (definitely not flimsy! ), but it doesn't feel heavy or bulky. Overall, I like this bracelet a lot and would recommend it to anyone who likes their jewelry modern and unique. 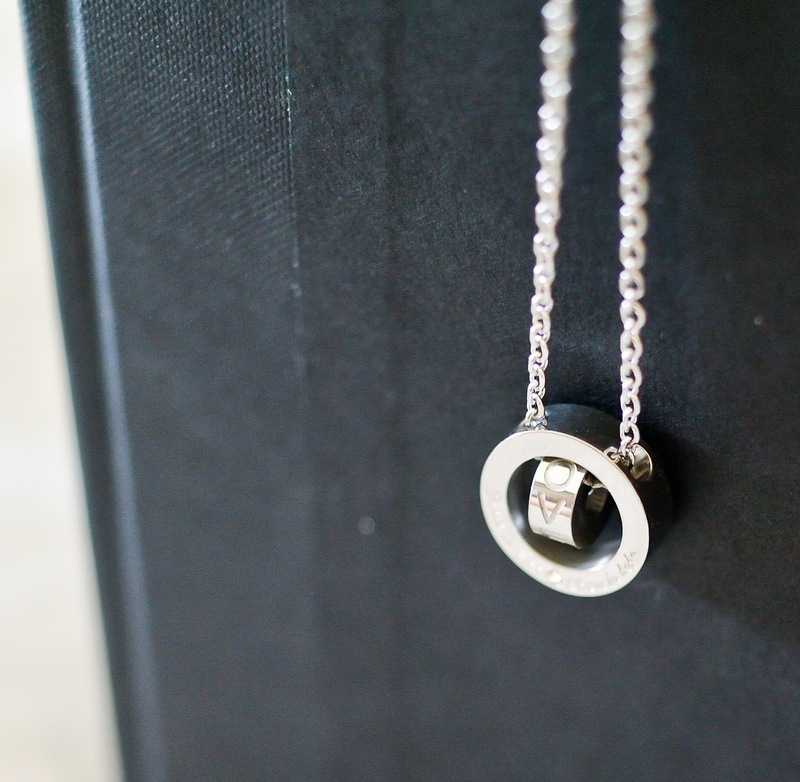 This set of couple necklaces is an awesome modern spin on the "two halves of one heart" jewelry. Made out of stainless steel and embellished with gorgeous cubic zirconia stones, it's a real crowd pleaser. My husband doesn't like wearing any type of jewelry and it's nearly impossible to get him to wear a necklace, but he actually really loved this design and its beautiful and meaningful message. We just had to swap the chain with a little less flashy one! I really like the look of this set. It has a certain warmth to it. 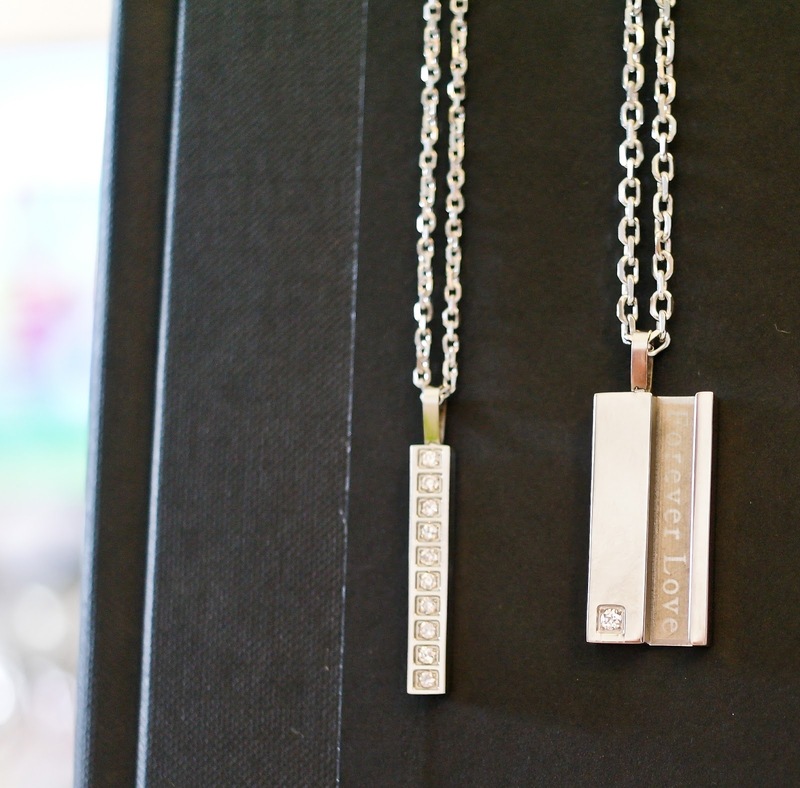 The "Forever Love" message is very special and I love how the bigger pendant kind of embraces the smaller one, keeping it close and safe - much like a man protecting his loved one. The chains seem pretty durable and the overall quality of this set is really amazing.A lot of thought went into this design for sure, even the packaging is very nice. This is my new favorite necklace - so gorgeous looking, shiny and extremely well made! The design is very unique and I love that it is both so elegant and modern at the core. It's very eye-pleasing and I love how shiny the stainless steel and the cubic zirconia is. 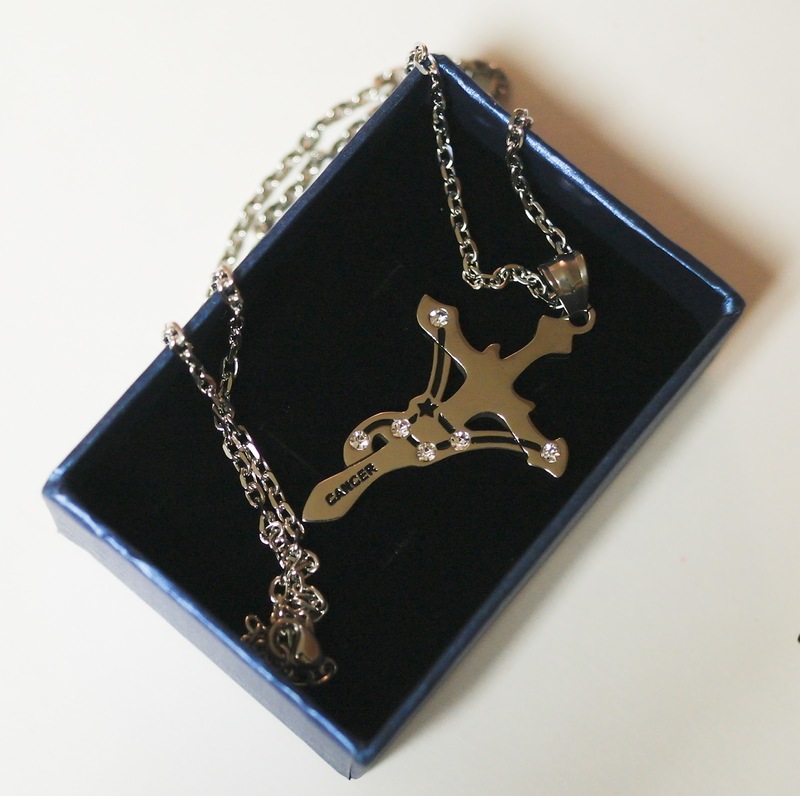 Both the pendant and the chain look very feminine and delicate, but in fact they are super sturdy. 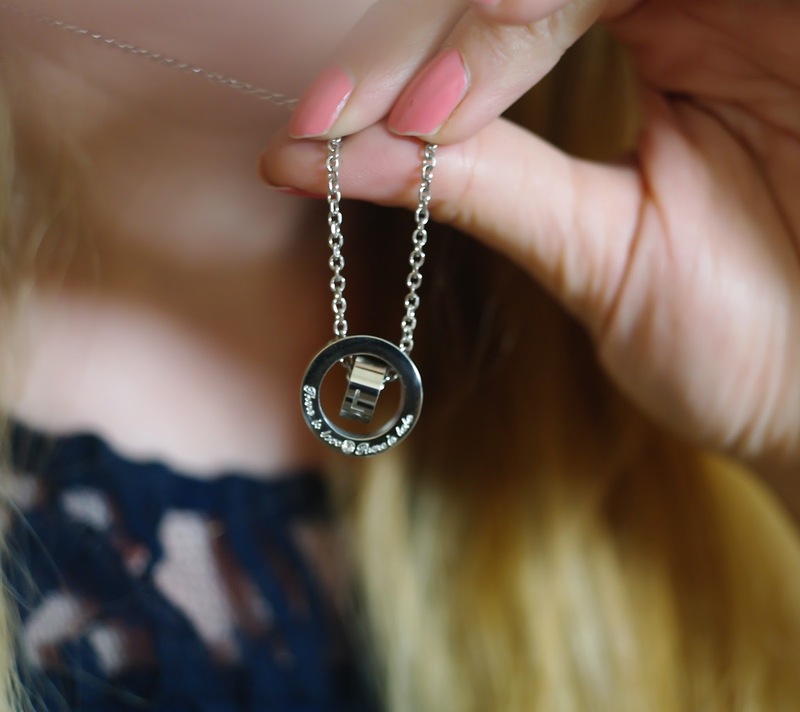 Just like the other jewelry pieces from Ruinuo, this necklace is made out of stainless steel and so it doesn't cause any skin irritation at all. The chain's length is just perfect and the lobster clasp is easy to use (not one of those super flimsy ones! ).